A structure of the Internet advertisement is that the service providers decide order of placement of many advertisements and advertising fees by auctions when advertisers offer their promotions. It is known that Generalized Second Price Auction (GSP) mechanism is most efficient auction mechanism of the advertisement auction. Some searching sites employ GSP mechanism basically. There are a lot of researches on GSP in order to analyze and clarify its feature and advantages. However, these researches assume that traded advertisements are mutually independent. That is means that each advertisement does not influence other advertisements. Also these researches do not consider a value of advertisement, which means some criterions of a name value of a company, an effectiveness and an importance, that is dependently each other. 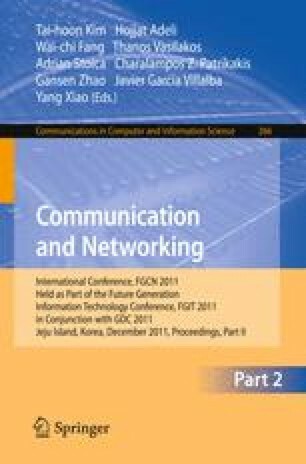 This paper proposes a new advertisement auction mechanism based on GSP with considering the value of advertisement. We analyze the auctioneer’s profit in comparison between normal GSP, normal VCG (Vickrey-Clarke-Groves Mechanism) and our proposed mechanism. The contribution of our research includes to clarify the features and advantages of advertisement auctions and effects to search service sites’ profit rate.